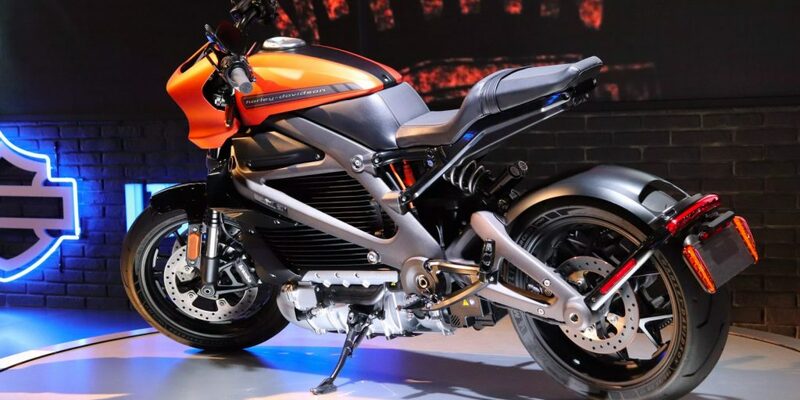 Harley-Davidson has revealed a little more information about the production version of its upcoming electric LiveWire at the EICMA motorcycle show in Milan, Italy. The bike on display at the show sports the same modern sporty design of the concept, with a trellis frame, mono-shock rear suspension and a low-slung electric motor painted silver to draw attention to it. Power and range still haven’t been announced, but the LiveWire will be compatible with Level 3 DC fast chargers, which should be able to recharge its battery pack in just a few minutes. The bike rides on adjustable Showa shock absorbers and uses Brembo front brakes. It has a digital instrument cluster and seven drive modes to modify its performance, with four fixed settings and three that are customizable. Harley-Davidson did not detail what characteristics they affect, but the motorcycle does feature traction control and anti-lock brakes. Full specifications and pricing for the LiveWire are expected to be announced in January. Harley-Davidson plans to follow it up with a line of smaller electric motorcycles.